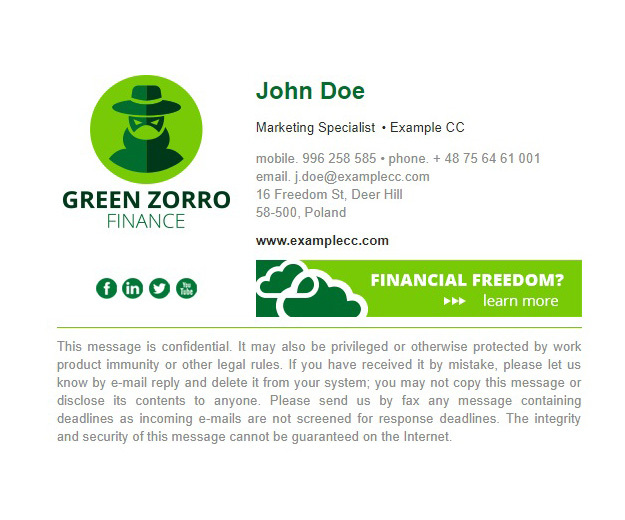 A fresh-design email signature template for business purposes. Ideal for building brand awareness as well as running email marketing campaigns. Download this ready-to-use HTML template or edit it with Signature Generator.